We developed Scotch® Printed Message Box Sealing Tape 3772 to help reduce product damage throughout the shipping process. Printed with FRAGILE, HANDLE WITH CARE, this message tape puts package handlers and shipping services on notice when you have breakable items in your package. Our tough, polypropylene backing is moisture-resistant and resists abrasion, chemicals, and scuffing. We developed ScotchÂ® Printed Message Box Sealing Tape 3772 to help reduce product damage throughout the shipping process. Printed with FRAGILE, HANDLE WITH CARE, this message tape puts package handlers and shipping services on notice when you have breakable items in your package. Our tough, polypropylene backing is moisture-resistant and resists abrasion, chemicals, and scuffing. 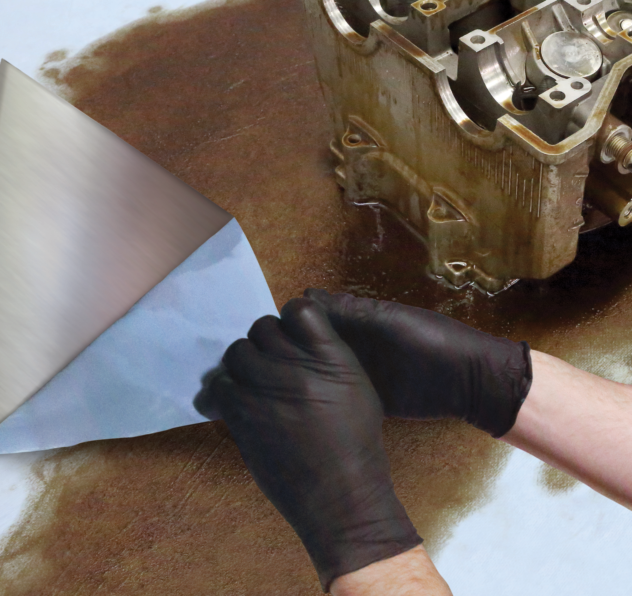 The synthetic rubber hot melt adhesive on our ScotchÂ® Printed Message Box Sealing Tape 3772 creates a strong hold that lasts through rough handling. We also designed the tape to easily conform around edges and on rough surfaces and provide a lasting hold. Other quality features include good edge tear and split resistance, complies with environmental considerations of ASTM D1974-92, and meets CID A-A-1684B. Printed message tape, also known as security seal tape and tamper evident tape, is ideal for sealing packages and securing loads with high value contents. Printed messages communicate the need for careful handling and reduce theft during the shipping process. Commercial users include manufacturers and distributors of electronics, food and beverages, medical, MRO and general industrial. 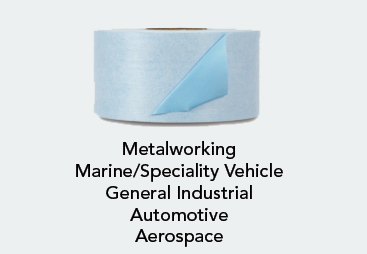 Long Description <p>Â </p> The synthetic rubber hot melt adhesive on the <a href="http://solutions.3m.com/wps/portal/3M/en_US/Adhesives/Tapes/Brands/Scotch-Tapes/" rel="nofollow">Scotch</a>Â® Printed Message Box Sealing Tape 3772 creates a strong hold that lasts through rough handling. 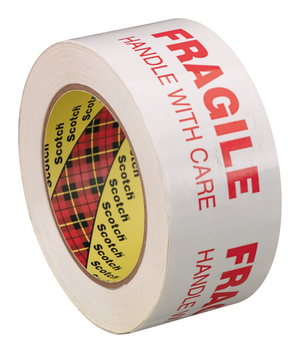 ScotchÂ® also designed the tape to easily conform around edges and on rough surfaces and provide a lasting hold. Other quality features include good edge tear and split resistance, complies with environmental considerations of ASTM D1974-92, and meets CID A-A-1684B.<br> Â <br> <em>Make your message stick</em> Printed message tape, also known as security seal tape and tamper evident tape, is ideal for sealing packages and securing loads with high value contents. Printed messages communicate the need for careful handling and reduce theft during the shipping process. Commercial users include manufacturers and distributors of electronics, food and beverages, medical, MRO and general industrial.